The Island of Pyjama – oh such a magical place. Where palm trees grow, and you can dive deep down into the blue blue sea. Pull on your pyjamas and join the adventure. NB: All audience members require a ticket. 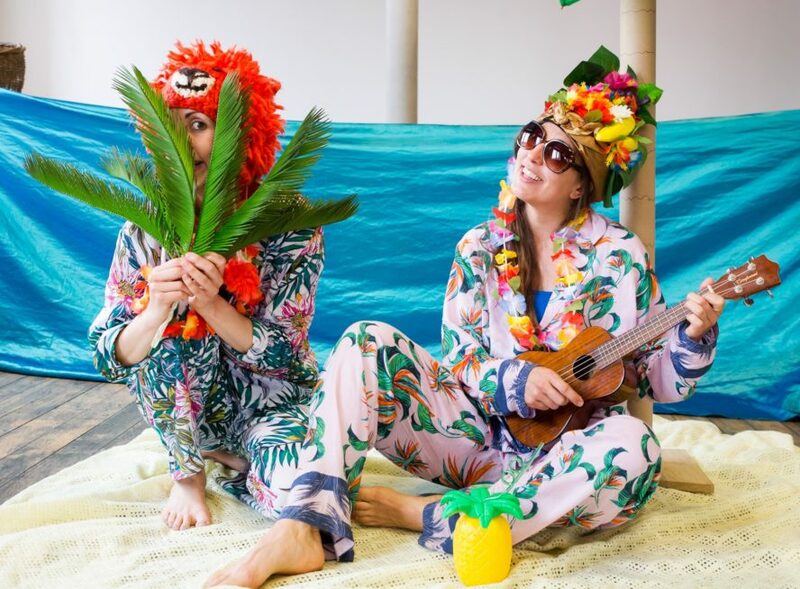 DragonBird Theatre is an Early Years theatre company with a huge following in their home city of Bristol, whose homemade sets and props inspire children and their adults to create their own theatrical adventure when back at home. The session starts with a short performance of a story and is followed by a facilitated session where everyone gets to play and explore adventures based on the show. Expect, giant nets, silky rivers, singing with gusto and finally going to sleep…. Catch DragonBird performances this Spring at the egg each month, where the puppets Dragon and Bird will lead you and your child through the magical world of theatre, with lots of fun and laughter along the way.